Two plants of different textures planted side by side often benefit visually from the others presence. The differing anatomy makes the details of each texture clear to the viewer, and if the colors balance each other, it creates more action for the eye to dance around. A perfect example of this comes as soon as you walk out of the Enclosed Garden and spot the greenhouse. 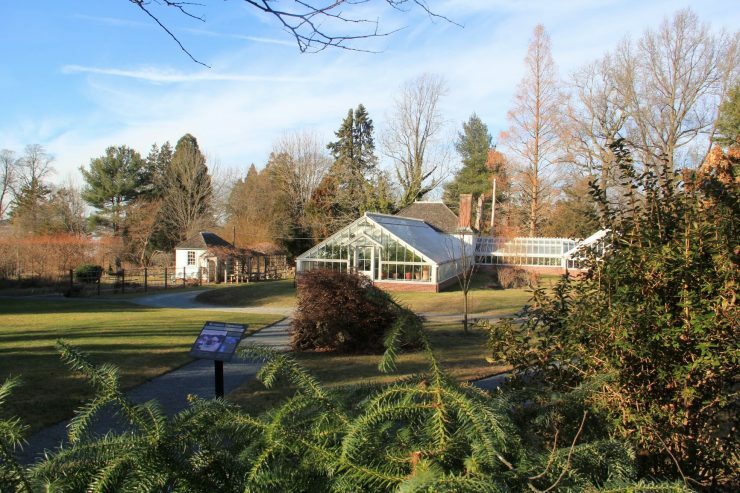 While the greenhouse is warm and inviting, look to the right before rushing into this botanical sanctuary. If you do, you will see two odd-looking evergreens. Both of them are rarely planted in the landscape; they are not the cheapest or most common plants in the nursery trade (one plant has long protruding thorns), and often don’t cooperate aesthetically with the rest of their surroundings. 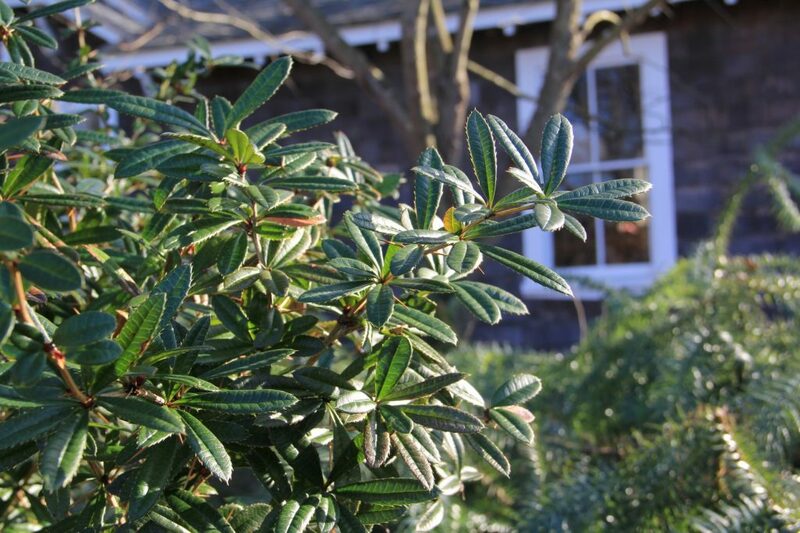 But together, they mingle well, and create an evergreen showpiece while also giving plant people something to approach for identification or a double check. 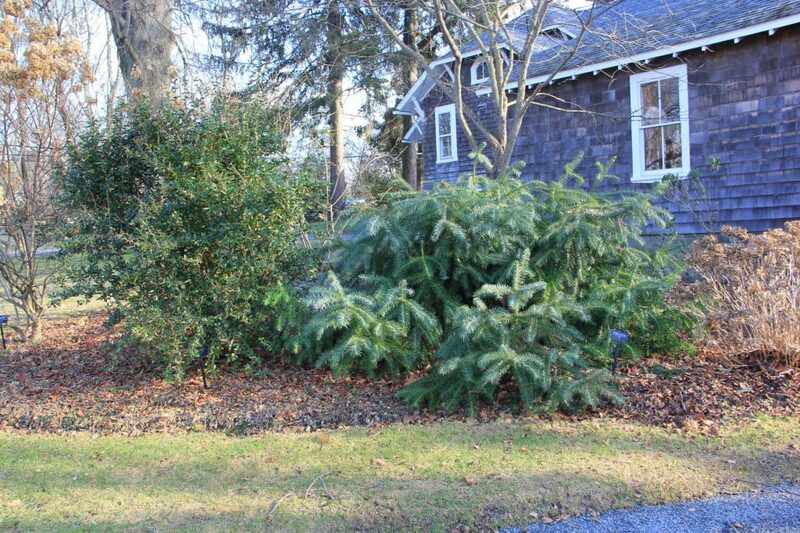 Wintergreen Barberrry (left) and Chinese Fir (right) hanging out at the entrance to the enclosed. Wintergreen Barberry (Berberis julianae) is a broad-leafed evergreen, with holly-esque leaves and numerous showy flowers that bloom from late April up through early May. 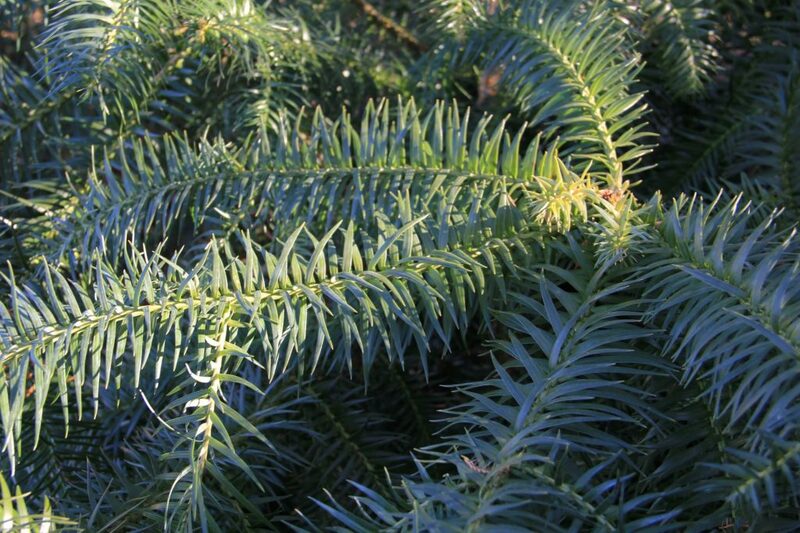 Chinese Fir (Cunninghamia lancelota), which is endemic to the Far East, is a small evergreen tree with unique wide, sharply pointed needles spiraling around the stem. The cultivar here at Blithewold is ‘Glauca’, a variety with an attractive blue hue. Starting next weekend, our Foundations in Gardening class series kicks off. In these three classes, we will discuss considerations when planning a garden, explore color theory, and talk about succession planting to keep the garden looking beautiful throughout the season! Class time is 9:30-11, in our new education space, for the first three Saturdays in February. For more information, visit Blithewold.org/programs.